Prior to the trek we’ll spend three days in Kumari, a village northwest of Kathmandu which sustained great losses and damage in the 7.8 earthquake on April 25, 2015. There we’ll join with Jagat Lama, a Kumari Villager who leads the non-profit Health and Ed for Nepal. Following the earthquake Jagat was able to raise funds to bring in emergency supplies, tin for roofs, and to rebuild the brand-new medical center. The only thing he has not been able to rebuild is the school. 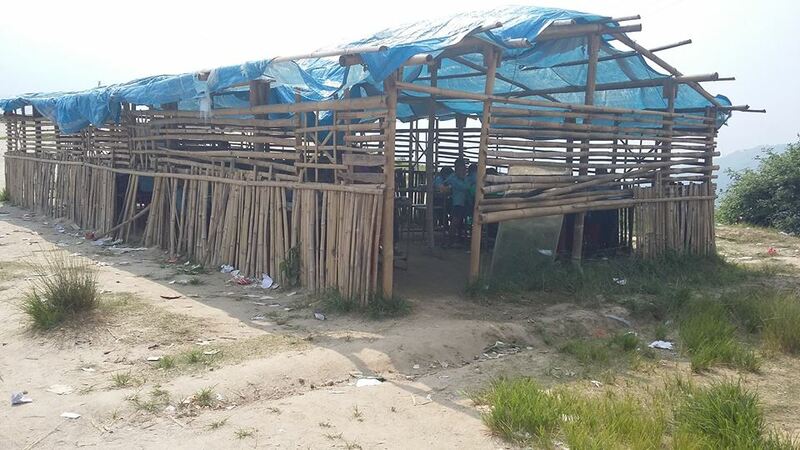 This school serves more than 400 children, some of whom walk an hour each way to attend. 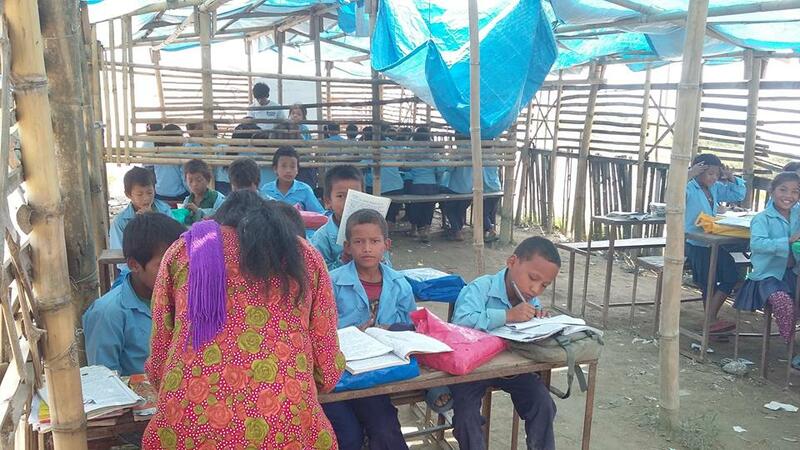 The coldest months are coming to Nepal, and the children cannot continue to learn in these makeshift classrooms they’re using. 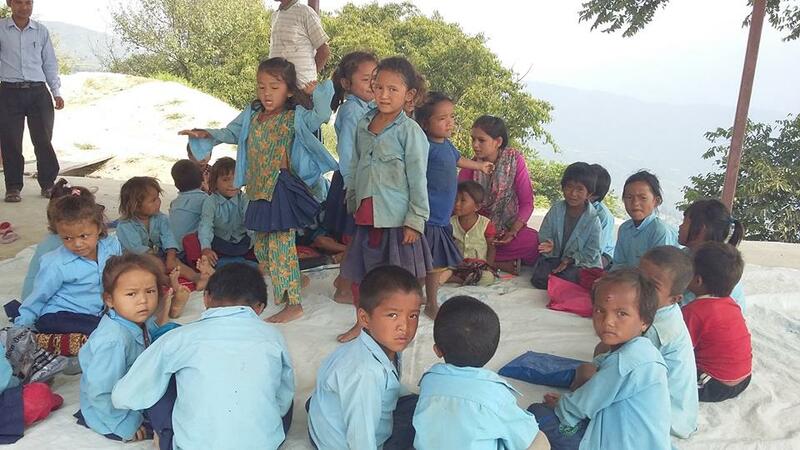 Though education is available in larger cities like Kathmandu, in these villages education is a community run effort by adults who want their children to have opportunities. Our goal is to give these kids the best chance they can have in life by giving them a safe, healthy place to learn. Then…we trek. After flying from Kathmandu to Lukla, we’ll set out on a 13-day adventure through the mountains and valleys of the Himalayas. 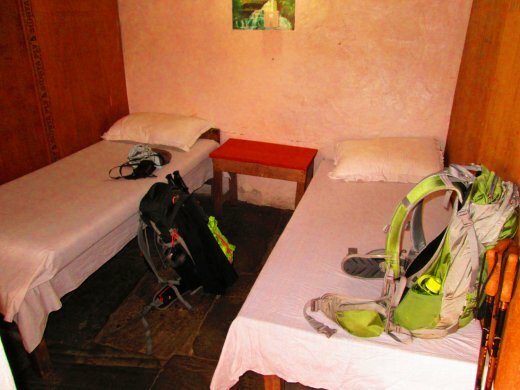 We’ll sleep in rugged “tea-houses” (high-mountain hotels) along the way, arrive at Everest Base Camp, then push on to Kala Patthar a small peak at 18,500 feet. I’ll be honest, I don’t know if I can do this, but I have every reason to try. The whole way I’ll be thinking about those kids, and what they do to try and have a better life. Raising funds for them is the best kind of motivation! The monarchy of Nepal was abolished and rule handed over to the people in just 2008. Power struggles have continued between political factions, but people are committed to building a republic, banning the rule of Maoist leaders in 2009. The country’s brand-new Constitution, ratified last month, declares the nation a federal democratic republic. Nepal is a developing country with a low income economy, ranking 145th of 187 countries on the Human Development Index (HDI) in 2014. The average per capita income is around $770/year. I’m raising $1000 that will go toward supplies for the children like medicine, educational supplies, and sports equipment. Please consider a donation to make this trip possible. I look forward to telling these precious children about the people who are thinking of them half-a-world away!